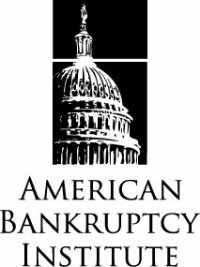 The American Bankruptcy Institute's invitation to speak at the event was directly due to the work Mr. Dauval has been doing in representing Chapter 7 Trustees in the negotiation and sale of “under water” homes out of bankruptcy estates and via the bankruptcy court. Mr. Dauval’s work on these complicated real estate transactions drew the attention of one of the ABI event coordinators when she found herself representing a mortgage lender confused by Mr. Dauval’s work. Understanding that selling “under water homes” out of bankruptcy estates was an issue that spanned across the nation, the ABI believed it to be a topic of great interest to its members. To date, Dauval has managed to sell these underwater properties, gaining money for the benefit of debtor's soon to be discharged creditors, as well as place what was a distressed property into the hands of a new, solvent, caring owner. This, in turn, helps communities and property values throughout the State of Florida. If you or your client have questions about selling underwater properties -- either out of bankruptcy estates or through more traditional short sales -- please do not hesitate to contact Mr. Dauval at (727) 327.3328 or visit us online at www.LeavenLaw.com. It was recently reported in the Tampa Bay Business Journal that bankruptcy filings in Central Florida totaled 47,513 for the fiscal year 2012. This is a drop of 16.6 percent from the previous year when Central Floridians filed 56,972 bankruptcies. The filling of business bankruptcies also declined for the fiscal year 2012; dropping by 18.7 percent.